We love appetizers! Very often, too, we find that, looking back on a restaurant meal, the first course was the best. It’s like the chef gave it his all at the beginning and then simply gave up after that. Maybe that’s why the Spanish invented tapas: they wanted to have a lot of small tasty dishes without bothering with the main meal. I’m frequently searching for something other than the traditional American dip and chips or cheese and crackers to start off meals, especially for dinner parties. Here are a few of my favorite new and old hors d'oeuvres. Just last week I discovered a simple dish called “eggs and anchovies” prepared by Jacques Pépin on his PBS television show. But before you run screaming from the room, let me say that variations could easily be made for those who don’t enjoy the taste of the small, salty fish! 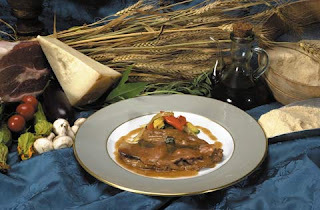 Inspired by his mother, who originated the recipe at her restaurant in Lyon, France, Pépin prepared it as follows. He took several boiled eggs (approximately one per person), cut them in half, and inverted them on a serving dish. Then he made a pretty pink sauce using about 1/3 cup of mayonnaise, a tablespoon or so of ketchup, about a tablespoon of water, and several shakes of Tabasco. After whisking the sauce to remove any lumps, he poured it over the eggs. He then topped it all with one anchovy per egg, some chopped red onion, and a sprinkling of capers. An alternative, in my mind, would be to replace the anchovies with bacon and even change the ketchup to curry powder and Worcestershire to make a nice yellow sauce. Any way that you do it, it should be quite elegant and easy to prepare. By the way, our children gave us a handy egg cooker made by Krups which produces perfectly cooked soft- or hard-boiled eggs every time. Another new dish we tried recently was Mussels Saganaki. Despite the rather Japanese sounding name, it is a Greek invention which combines fresh herbs and feta cheese with the mussels. You start out softening a few chopped garlic cloves in moderately hot oil in the bottom of a large pan. Add a couple of tablespoons of Dijon mustard, cooking for just a half-minute. Then pour in about two pounds of cleaned mussels and cook until steam rises. Meanwhile chop about ¼ cup of fresh dill and an equal amount of fresh parsley and add to the pot with ½ cup of white wine and some kind of mild chili pepper (I used about ½ cup of chopped poblano). After this cooks for a few minutes, add in ½ cup of cubed feta and one cup of heavy cream. Serve with crusty bread. Yum! One tried-and-true recipe, created by one of my friends, is always a big hit. Crabmeat, which is the basis of this dish, comes in many forms. I’ve used canned crab, as well as the kind that you find in the refrigerated section. Get the best you can find and combine it with some grated onion, a dash or two of Worcestershire sauce, and lots of grated, sharp cheddar or gruyère. 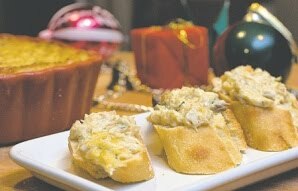 Thinly slice a French baguette and top each piece with a small mound of the crab mixture and sprinkle with cayenne pepper, if desired. Then broil for about 10 minutes until the cheese is melted and bubbly and serve immediately. Sixteenth century French philosopher Michel de Montaigne once wrote: “L’appétit me vient en mangeant”—“My appetite comes from eating.” I hope that the appetizers described here will serve to get your salivary glands working. To be honest, Italian restaurants in this country have never held much attraction for me. I suppose it’s because of the preponderance of pizza/meatballs-and-spaghetti types of places where the quality is minimal. 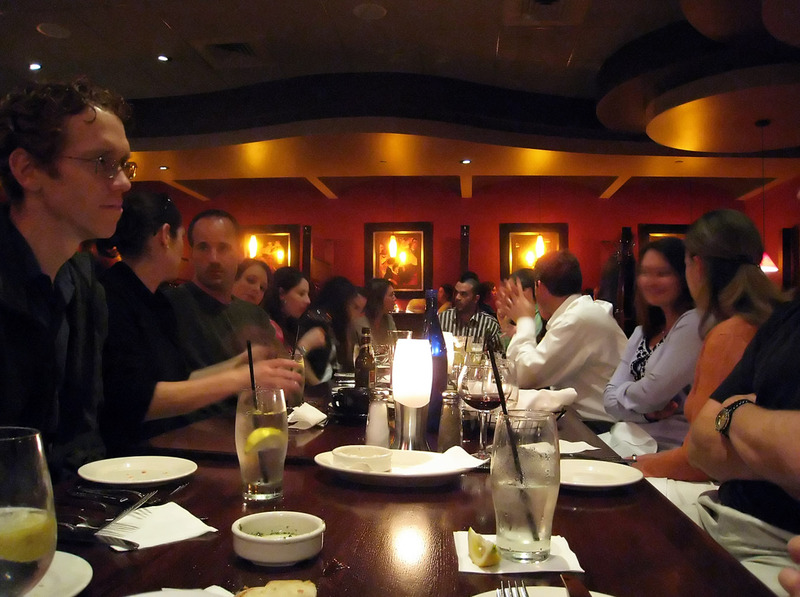 This was not the case at Bellini’s in Clifton Park Friday night. But, as you have to expect, the prices are naturally higher than at the run-of-the-mill Italian eating place. Located in a strip mall across from the side of Clifton Park Center, the restaurant has a warm, lovely décor with booths all around and a wood-burning pizza oven at the entrance. The menus for both food and wine are quite lengthy, so you might want to give yourself extra time to look them over. The waiter Joseph started us out with a warm, yet average, small loaf of bread served with a very good pesto dipping sauce. 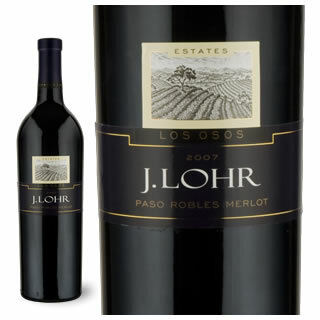 We chose to share a bottle of nice, woodsy J. Lohr merlot to accompany our meal. The main courses our party chose proved to be one better than another. Mine was a perfectly cooked Saltimbocca. The two chicken cutlets were served on a bed of fingerling potatoes, spinach, and mushrooms in a dark, perfectly seasoned gravy. One of my friends had her Bellini’s favorite: Cavatelli. This dish, which had hunks of sweet Italian sausage, spinach, tomato, and peppers on pasta, was indeed delicious. Our other friend went for the Papardelle, which included seared pieces of chicken with artichokes, asparagus, and sun-dried tomato in a garlic cream sauce. The portions are quite large, so we did the most logical thing: saved half of our meals and ordered dessert! Believe me when I say that one piece of the award-winning chocolate cake was plenty for the three of us! I would describe it as a rich chocolate cake topped with hazelnut mousse. How can you go wrong with that combination? The total bill was just over one hundred dollars before tip. Apparently Bellini’s is well-appreciated by its diners as evidenced by their expanding business. Other locales include the Bellini’s in Slingerlands--just outside of Albany--and another in South Windsor, Connecticut. They also run Jacob & Anthony’s American Grille in Saratoga. If you like fine Italian food, and don’t mind the price, give it a try.